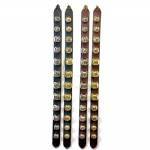 This 12-bell bell door strap is ornamented with a leather tie and three sizes of silver- or gold-tone steel jingle bells. The bells range from 1" to 1 1/2" in diameter and graduate from small at each end of the strap to large in the middle. The strap is 1 1/2" wide and 27 1/2" tall, not including the leather tie, and is cut from firm, high quality leather. 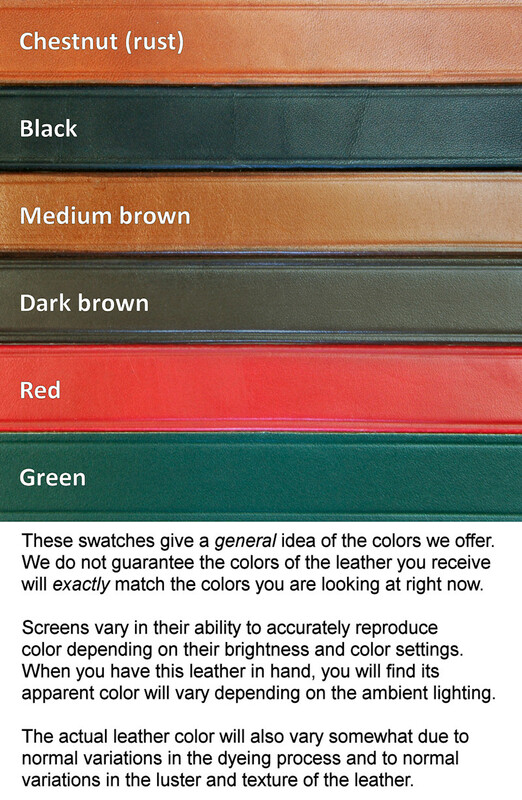 (Similar straps sold by others are typically only 1" wide.) The edges of each strap are hand dyed and decoratively creased.